Advanced Settings: Incoming port is 995 (SSL). Outgoing port is 587. 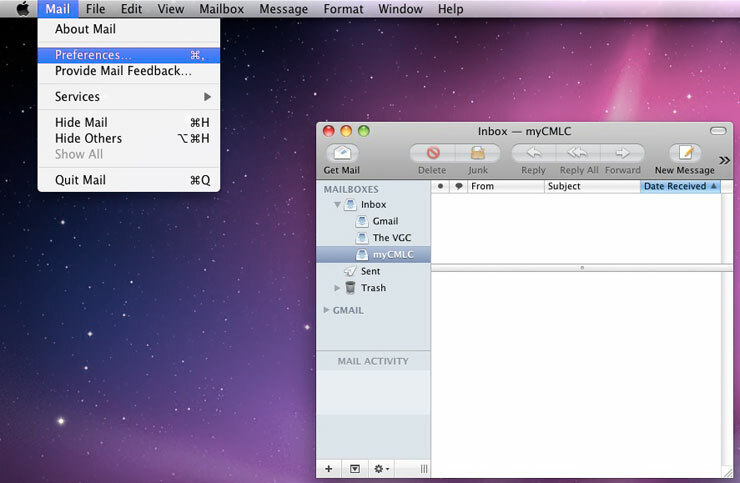 Open the Apple Mail client. 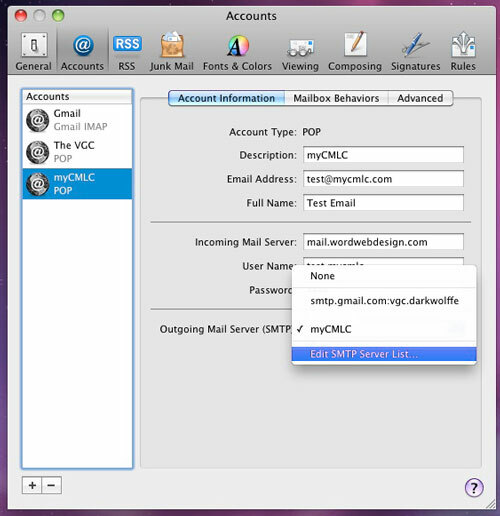 If this is your first time using the mail program, you may use the wizard, but you will still need to do some settings manually. Select POP from the Account Type dropdown, and in the description, enter the name of your organization, or "Word Web Design". 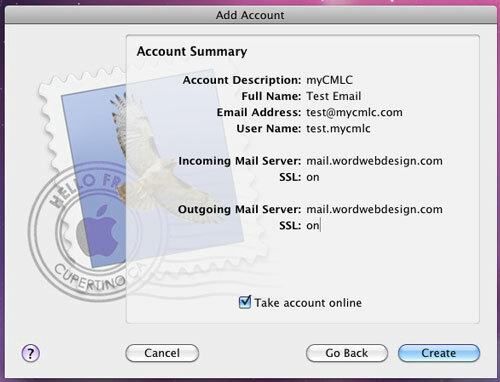 The Incoming Mail Server should be set to "mail.wordwebdesign.com" and your User Name is the first part of your email address (test@mycmlc.com) followed by a period and the domain of your email without the domain extension (test@mycmlc.com) - for example test.mycmlc - The password is your regular email password. Once you've filled out these fields, click Continue. 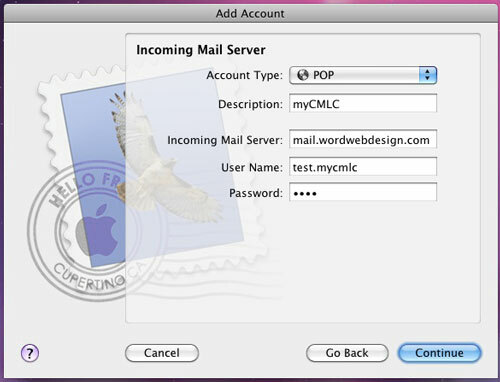 Mail will probe the server for confirmation before continuing to the next page. 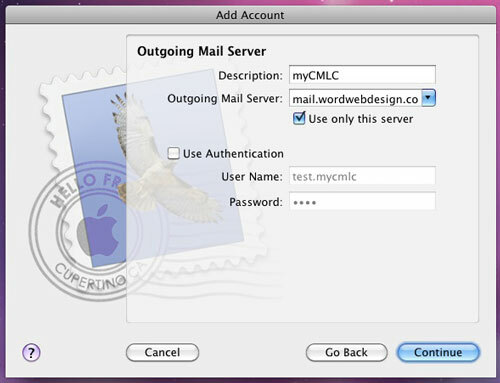 On the Outgoing Mail Server page, enter the same description as you did in the previous menu. The Outgoing Mail Server field is also the same. Note that if you begin to type "mail.wordwebdesign.com" it will autofill the information for you with additional details at the end. Please remove the additional information. Once that's done, click Continue. Mail will again probe the server for verification before continuing. On the Account Summary page, simply click Create. This will take you back to the Mail main window. Your account should be set up! Please confirm that your email is set up by attempting to send a message out. 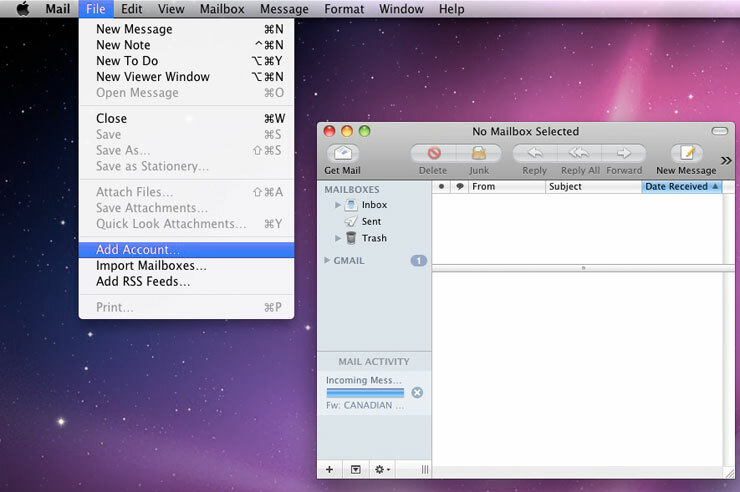 Troubleshooting: The most common problem is that mail won't send. This is actually something that can be fixed relatively quickly. Follow the below instructions to begin sending mail. 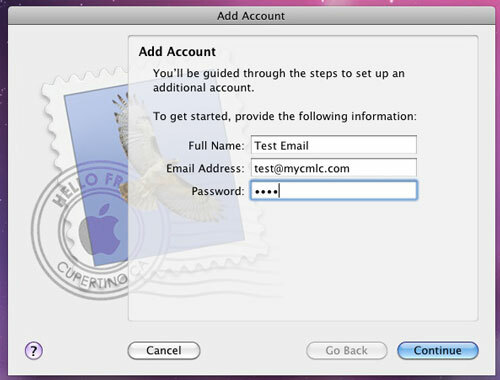 Troubleshooting Step 1: From the Mail Mail menu item, click Preferences... or on your keyboard, hold the Apple command key and press comma (,). 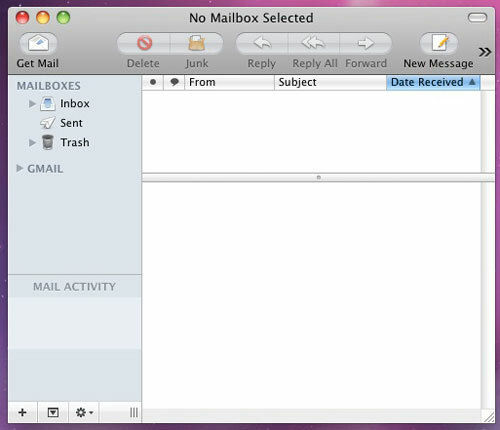 Troubleshooting Step 3: The window that opens should have your email selected already. Confirm on the Advanced tab at the bottom that the settings match the image below. 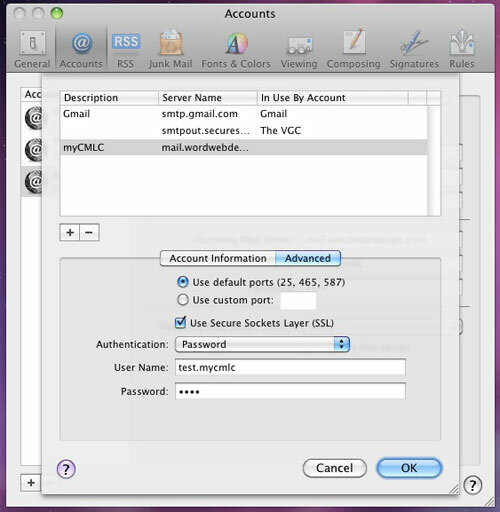 The Use Default Ports (25, 465, 587) radio button should be selected, the Use Secure Sockets Latyer (SSL) box should be checked, Authentication should be set to Password, and the username and password should be the same as earlier. Click Okay and close the Preferences window to confirm. If you made changes to any of the settings, Apple Mail will ask you if you would like to save them. Click Save. You should now be able to send email through your account!